An exhibition, Dryopes by Shane Bunnag is a part of the Project New Visions curated by Manit Sriwanichpoom. 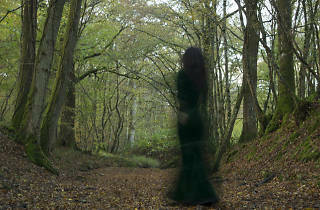 The artist is a photographer and a filmmaker who believes that there are spirits everywhere. 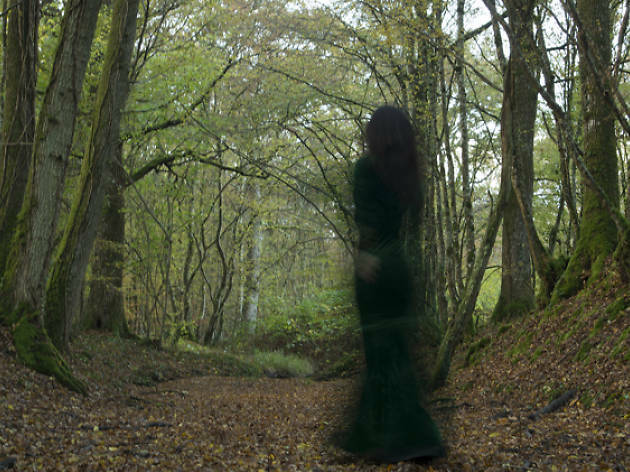 He captures his model doing worship-god-kind-of-dance in the wood with long exposure technique, resulting in trippy and hallucinating images of the model in an ancient lanscpape. This explores on subjects about spiritual elements of landscapes, rather than just beauty surfaces of them.